IQ-Limiter promises to "just make it loud!" IQ-Limiter: an audio exclamation mark. 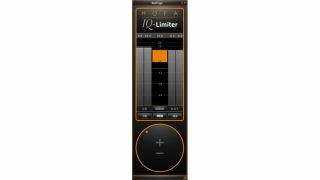 It might not be subtle, but Hofa-Plugins' claim that its new IQ-Limiter will "just make it loud!" is bound to strike a chord with some people. This mastering limiter is designed to resemble an exclamation mark, and features the bare minimum of controls. However, it's claimed that the "elaborately-programmed algorithms" adapt themselves to the incoming audio signal, giving you an "outstanding" sound. You can try the IQ-Limiter for free for 14 days, and it's available to buy at the introductory price of €119.90. Find out more on the Hofa-Plugins website.